Independent: People who are born in May like to be independent; both financially and emotionally. They are well prepared for any eventualities that happen in the future. Thus, they are more budget minded. Generous: They lend a helping hand to those who are close to them like friends and family. Thus, they are generous and liked by all. But at the same time, they are frugal and will not spend financially in the name of saving. 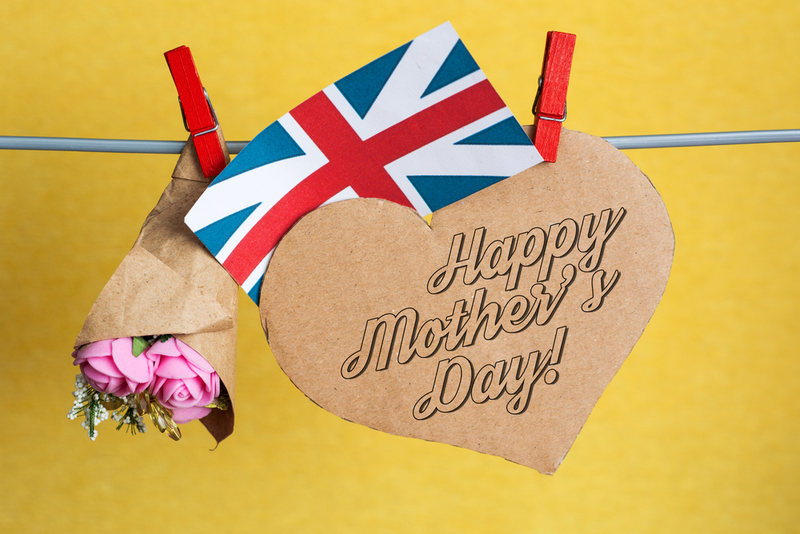 Simple: People who are born in May are very simple and down to earth. They are not carried away by success and remains polite and pleasant whatever their status in society is. Patient: They take time to do the job and make sure that it is a success. They believe in doing the job right rather than doing it fast. This quality makes them excellent employees. Stubborn: Such people are inflexible in their decision and approach. Once they think that the viewpoints they have taken are right, they will stick to it and refuse to listen to others. Lazy: Though people born in May like to be financially independent, they are very lazy and will not work unless they are motivated. Possessive: Taurean’s are highly possessive. Possessiveness comes in the form of jealousy, and in some case, it can even affect their relationship. Lily of the valley is considered to be the birth flower for May. Lily of the valley, being the most delicate and beautiful flower, closely resembles the characteristics of a May born and hence is considered to the perfect gift for a May born. Lily was given the May flower status by the Victorians who considered the delicate scent and nature of Lily as closely resembling the peace. 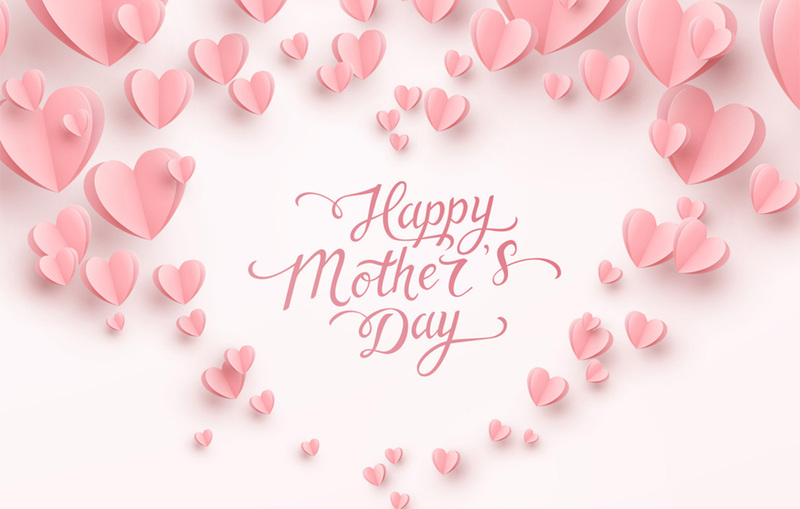 People who are born in May are supposed to be simple, and patient and the white color of the lily flower send this message. 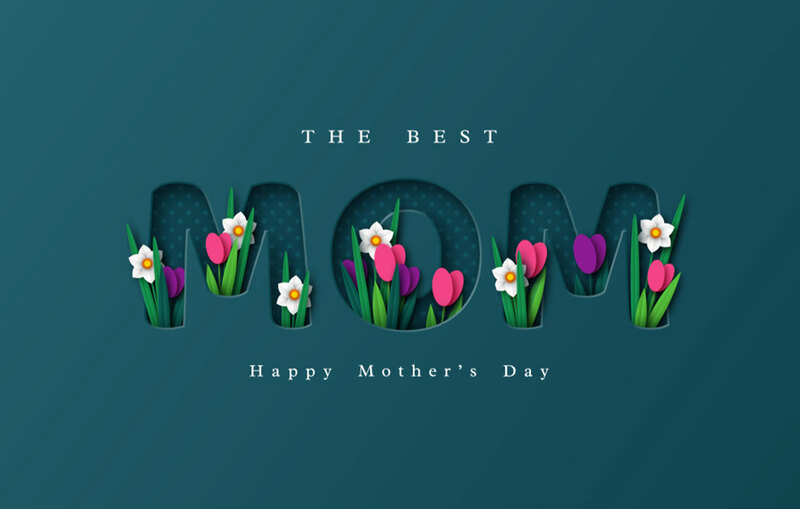 Moreover, since the lily blooms after every trace of snow completely disappear from the ground, it is believed to be a flower that brings in happiness just like a May born. 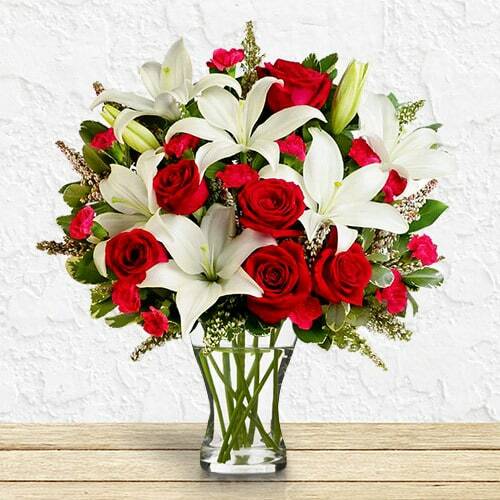 Lavish and Grand: This bouquet arrangement consists of red roses and white lilies that provides a bright yet simple look. While the red color in the arrangement denotes respect and admiration, the white color refers to humility and innocence. 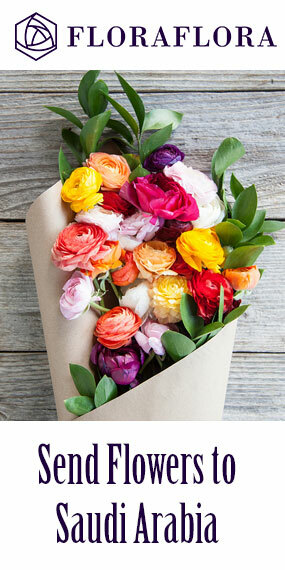 Thus, this bouquet would make a perfect gift for a colleague you admire, or a friend who is humble and sweet. Dashing lady: This bouquet is a combination of orange Asiatic lilies, pink and light orange roses and the red carnation. 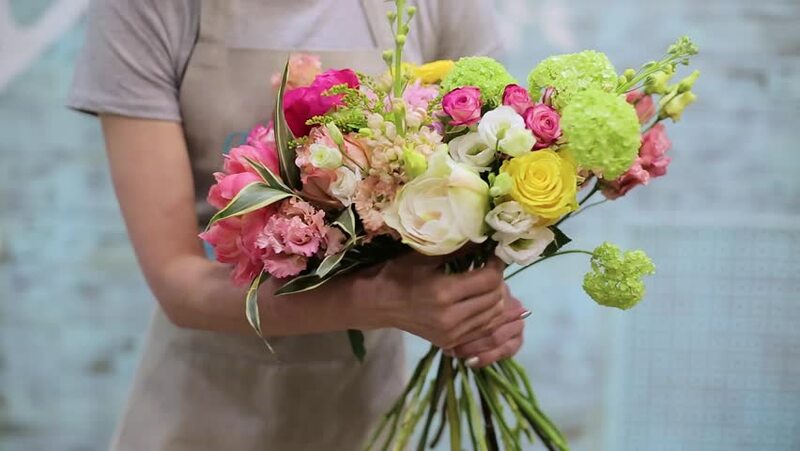 A dash of greenery adds to the charm of the bouquet. 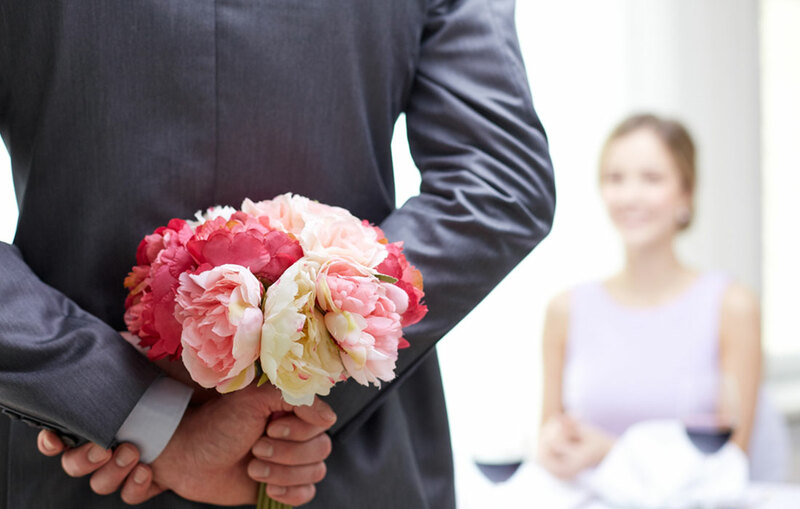 While the orange color in the bouquet denotes passion and full of life the pink color denotes love and grace. 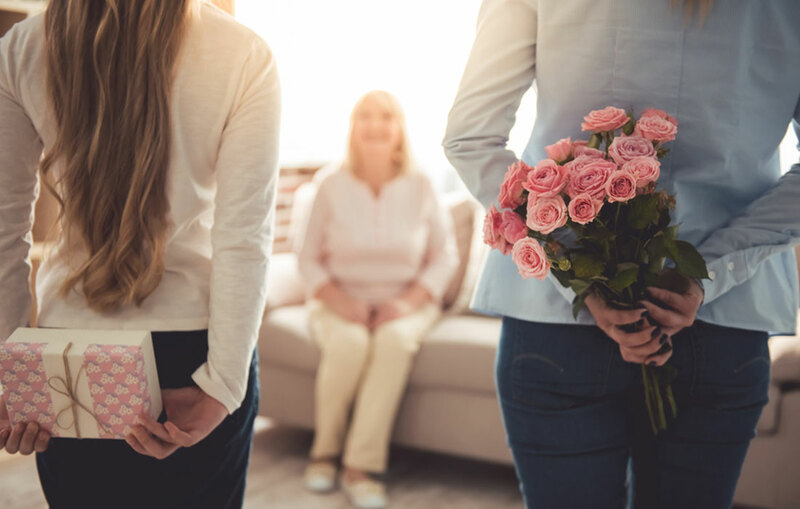 Since the bouquet has a feminine touch to it and the name also implies the same, it would make a perfect gift for that special person in your life whom you would like to express your feelings. 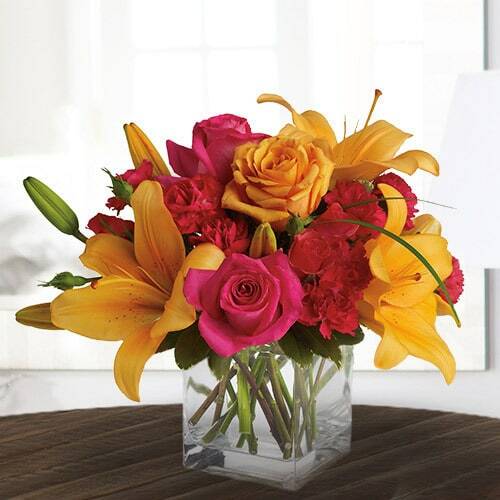 Dazzling bouquet: Pink lilies and red roses make the dazzling bouquet pleasing to the eye. The bouquet comes with a dash of greenery that provides a complete look to it. While the red roses signify love and romance the pink lilies stand for love, gentleness, and happiness. Thus, the dazzling bouquet makes an excellent gift for your girlfriend or wife. 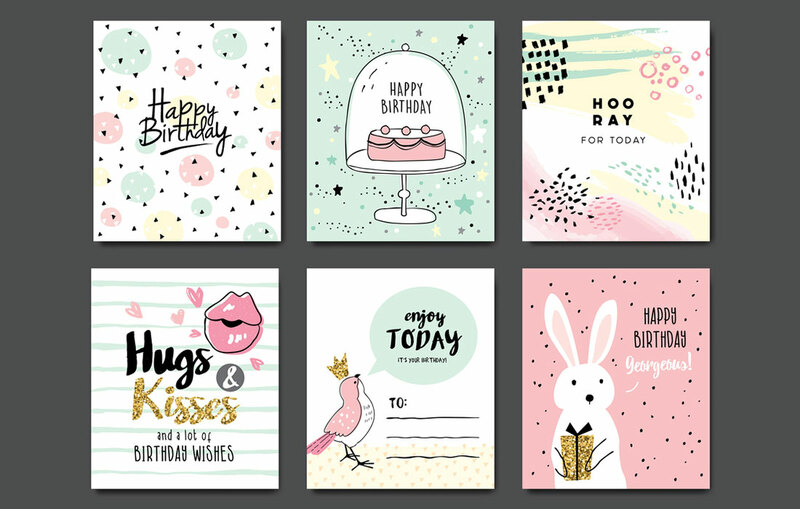 Escapades: Go on a magical journey of love and happiness with the escapade collection of bouquet. 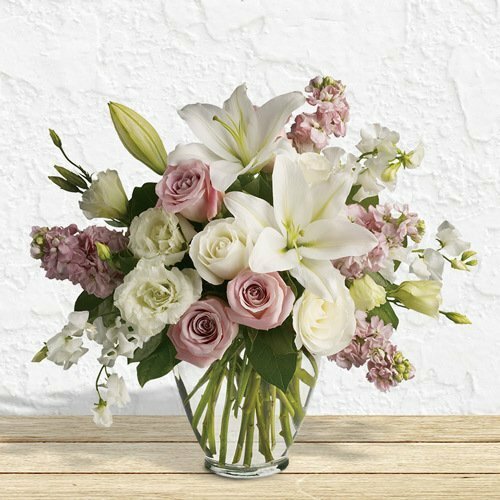 This bouquet consists of white lilies, and light pink rose that renders a soft and gentle look to it. While the white lilies stand for purity and innocence the light pink roses signify gentleness. The escapade bouquet would be the right gift for that little girl in your life who brings out the love and tenderness in you. French blue sunshine: Brightness and radiance make the French blue sunshine bouquet a unique piece. 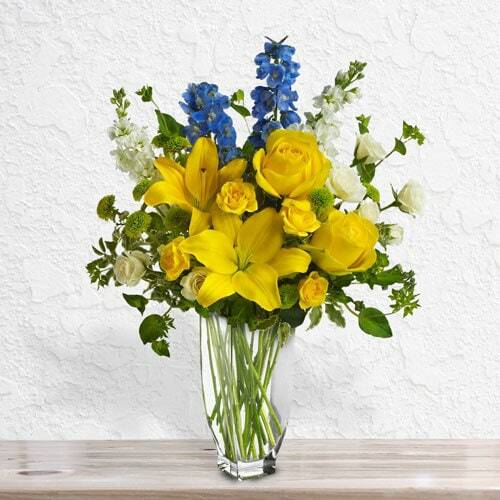 This beautiful bouquet consists of yellow Asiatic lilies and roses, light blue delphinium, and white roses. 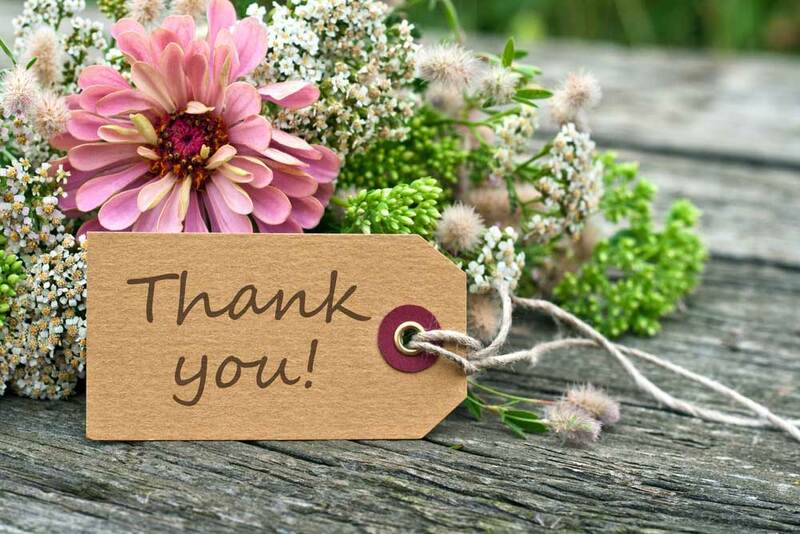 The green button spray chrysanthemums provide a natural look to the bouquet. While the yellow flowers with its sunshine look signify happiness and joy the blue flowers stand for openness and acceptance. White means purity in the relation. The French blue sunshine bouquet is the ideal gift for your near and dear friends who bring in la ot of happiness in your life. 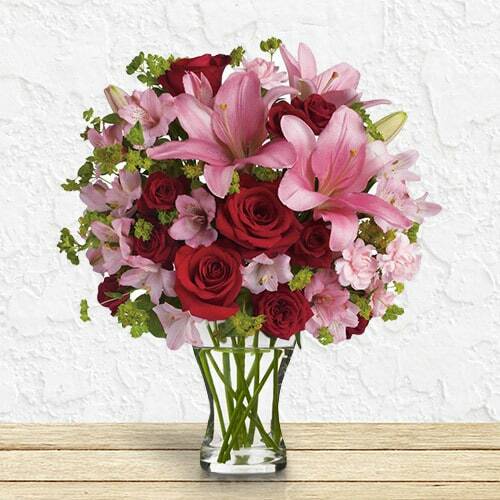 Masterpiece by 800flowers: With a perfect combination of starburst lilies and a bunch of bouvardia, eucalyptus, and limoniums the Masterpiece by 800flowers is sure to bring that ideal smile to whomever you gift this bouquet. This bouquet with its inviting and formal look would be the right birthday gift for your higher up or any acquaintance whom you admire and respect. 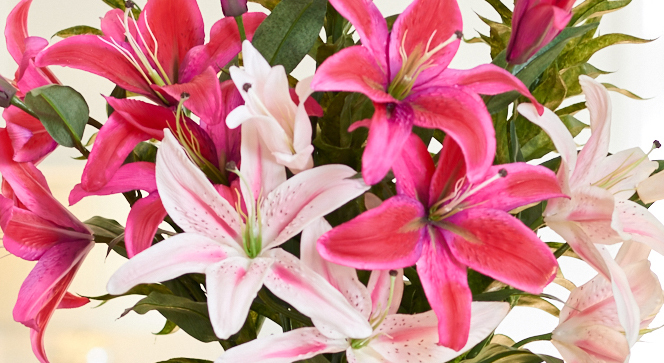 Lily is the right gift for a May birthday not just because it is the birth flower of May. Lily has a unique aroma and looks to it that no other flower has. It can easily be mixed with other flowers and stems thus creating a unique look. 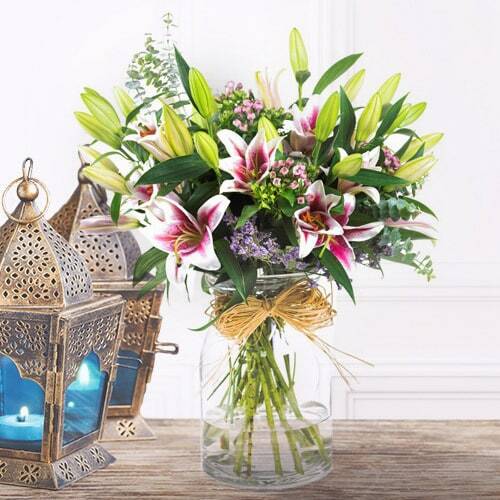 Make your dear ones birthday extra special with a bunch of lily bouquets.